Just when you thought elevatorgate was said and done, let it be known that the aftermath the fight lives on. The aftermath? 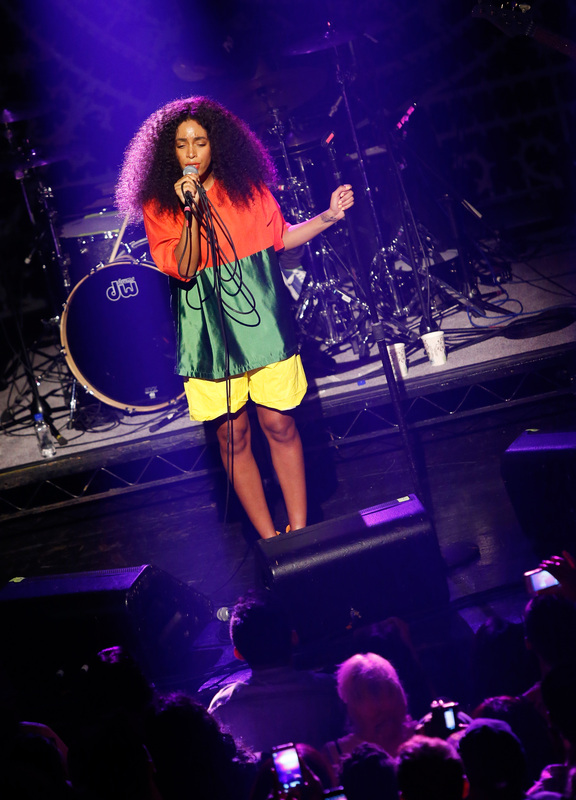 Solange's digital sales have been affected by the scandal. Except — here's the surprise for ya — her digital sales have actually improved enormously. According to data collected by Nielsen Sound Scan that was posted by Hip Hop DX, her sales are up to 2,000 when the week before the elevator footage surfaced, her sales were only at 600. Looks like she got something out of it then, eh? Okay, we can't look at it that way. That's not right at all! Beyonce, Jay Z, and Solange have clearly made a point that they want to move on. There's evidence on Instagram that it's over! Guys, let's all get over this and knit socks together or something. But before we have a knitting session for the collective Internet conscience, we've got to acknowledge something: Why after negative footage becomes viral on the Internet would her sales increase? Wouldn't you expect bad publicity to hurt her sales? Not so much. The now infamous elevator scandal pretty much just brought her to the forefront of the public conscience. It's easy to go, "What happened with Solange? That video?" And then suddenly think, "Oh yeah! She has music too!" Boom. Instant sales. Yay. Okay. Now for the Internet knitting party.